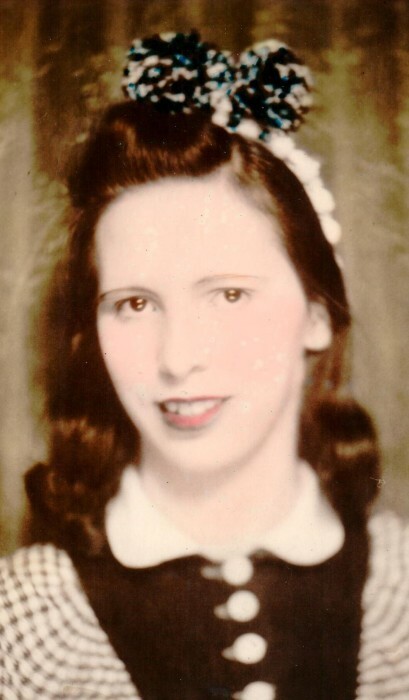 Obituary for Helen May (Lewis) Woissol-Knight | Fleming & Billman Funeral Directors, Inc.
Helen M. Knight, age 94, lifetime Ashtabula area resident, died Saturday evening at Saybrook Landing. She was born May 29, 1924 in Ashtabula, the daughter of Roy & Hazel (Wright) Lewis. Helen was a member of Our Lady of Peace Parish-Mt. Carmel Church. She was a CB Radio operator, enjoyed reading, dancing, playing cards, baking, cooking and loved and cared for her cats and the neighborhood cats. Survivors include five children; Hope Randolph & Michael (Patricia) Woissol, III, both of Ashtabula, Paul (Deanna) Woissol of Monroe Twp., Susan Lyons of Ashtabula & Joseph (Mary) Woissol of Ashtabula Twp. ; 21 grandchildren; numerous great-grandchildren and several great-great-grandchildren. She was preceded in death by her parents; her husbands, Michael A. Woissol, Sr. & Warner Knight; a son, John Woissol; grandson, Christopher Woissol; granddaughter, Cheryl Ann Keen and sister, Carolyn “Ruby” Hyde. Funeral services will be held Thursday at 6:00 PM at the Ashtabula Home of Fleming & Billman Funeral Directors and Crematory, 526 W. Prospect Rd., Ashtabula with the Rev. Fr. Raymond Thomas of Our Lady of Peace Parish officiating and Heidi Cowey, Chaplin of Bella Care Hospice participating. Private burial will be Friday in Chestnut Grove Cemetery. Visitation will be Thursday from 4-6 PM at the funeral home. In lieu of flowers, the family requests memorial contributions be directed to the Cleveland Public Library (Matter for the Blind & Handicapped), 17121 Lake Shore Blvd., Cleveland, OH 44110-4006, envelopes will be at the funeral home. The Fleming & Billman Funeral Homes and staff are privileged to serve the Helen Knight family. Express condolences, view obituary or light a candle at fleming-billman.com.